I have never smuggled before so the whole experience was new to me. As I outfitted my ASP Explorer I kept returning to this guide to make sure everything was above board. Finally, after about half an hour of hopping around discounted systems looking for the right modules, I was ready to head off. 325LY later and I find myself in the Robigo system, a touch surprised by the distance to the station but nothing too far. As I land I immediately check the bulletin board and my eyes are greeted with $$$. Off the bat there are 4 missions of which none offered less than 3m reward. All with 11 hours to do them. I was ecstatic! I checked them out and was pleasantly surprised, although the destinations were all around 350LY away, they were quite nicely grouped together. With each one as close as the last I picked them up and asked around for more. At another bulletin board I found a couple more that had some good time on them and grabbed those too. I checked my watch, started my timer, and set off on my way. First jump out the system and some pirates try to interdict me, drawing on my training (a forum page) I swung my tail to the sun and watched happily as they dropped off my radar. After that, the journey remained mostly peaceful with some fuel scooping wherever I could, with a surprising number of un-scoopable stars, I didn't want to be caught without fuel. As I drew close to my first destination I start being interdicted by more and more security. As aways I throttle to 0 and submit but sometimes their interdiction happened before I had slowed enough to submit! Boosting away with my heart in my throat I desperately try to engage my FSD until finally I hear that familiar countdown and know I can finally relax. I made it! The first destination is in sight, as it is an outpost I panic slightly. I dont know what I'm doing! All my training was on smuggling into the mailslot of large stations, there was nothing about outposts! Trying to keep my cool I cruise close and open the coms. "This is CMDR Wolfheart, requesting permission to dock". "Docking request denied". There must be a mistake, I'm allied with this federal outpost, a midshipman in their navy! "This is CMDR Nyrexis Wolfheart, requesting permission to dock!" my voice shaky with nerves. "Docking request denied". I'm terrified. 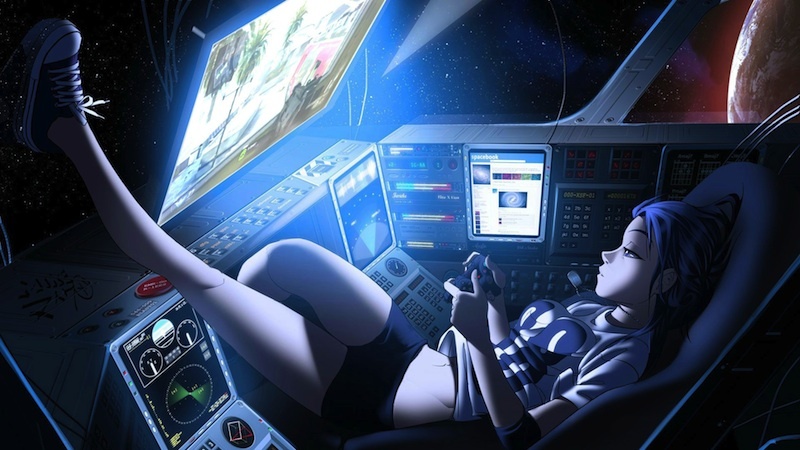 Sitting here in space. Security could show up any minute. I cant work out the problem! 1km away now I try again and the station AI gives me the same response. I glance at my radar and my blood runs cold. Green contacts have just shown up on the rim. The Federal Security Service. I look back at the outpost in front of me, desperate for any clue as to what is going wrong. Then I see it, another ASP sitting there on the docking bay, unmoving. After was felt like forever I see it disengage. Immediately on my coms I finaly get the answer I was looking for "Docking request granted". I launch myself toward the bay and land safely relief floods over me. "Scan Detected" the computer barks at me. I lose all composure, desperate to enter the hanger I hit almost every button on my ship. "Shields offline" "Cargo scoop online". I manage to enter the hanger and as the hanger door slides shut, I breath a sigh of relief once more. NOW, I've made it. Besides a random Federal bounty hunter screaming about a promotion and attacking me in a dropship, the rest of my trip was largely uneventful. After an hour I checked my profits 15m. The most I have earned in an hour previously was 2m however, after all the jumping and the stress, to me, bounty hunting felt like a faster money making enterprise despite not even holding a candle to the one time, I smuggled Robigo. After some heated discussion with Sode, it has come to my attention we have an imperial anarchy faction in Robigo by the name of CDE. Normally, their Imperial alignment would mean that I don't sanction PvP, but the Empire is against anarchy factions as a rule (they are considered heathen / terrorists... as Kumo Crew have found out). So, CDE minor faction being a Imperial anarchy allows us to engage their forces at will (and return Sirius Corp to ownership of the station). If anyone feels the need to travel that far, well outside of our area of operations, feel free to do so. As a rule though, all other Imperial minor factions should be treated as friendly. This directive is Robigo-specific and the only exception from our established rules of engagement and political alignments. Robigo is a very lucrative run for people who don't have a 'Conda or bigger ship. Personally I can just turn my Fedvette into a imperial slave ferry and move them between Xuanduna and Yenistani for about the same cash per hour with way less risk of losing it all because of interdictions. What do you mean trading rank? Missions are not locked based on rank anymore, are you talking about your reputation with the factions?